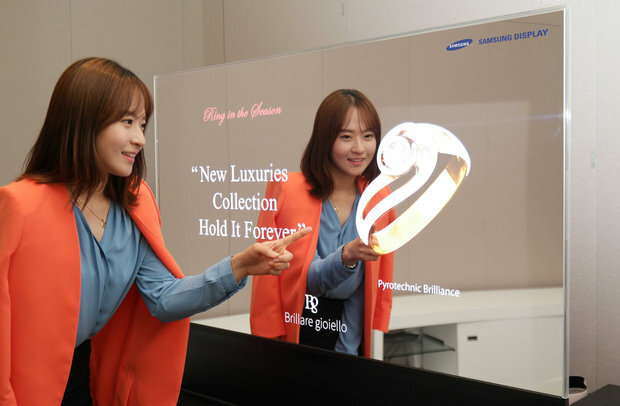 Samsung has developed a big-screen OLED (organic light emitting diode) screen that's transparent, and plans to show it at this week's IFA consumer electronics expo in Berlin. OLED screens offer bright, vibrant colors that are the result of a reaction of organic material within each pixel. That's a big difference from LCDs (liquid crystal displays) which require a backlight behind each screen. Also at this year's IFA, LG Electronics will show off an expanded range of OLED televisions. They will include 65- and 55-inch models with 4K resolution and a high dynamic range technology that is meant to produce better images. LG will also have a curved 55-inch OLED TV.